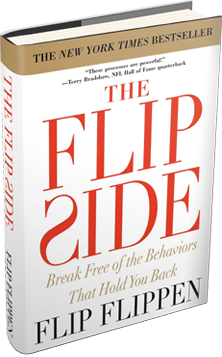 Flip Flippen is the founder of the Flippen Group, one of the largest educator-training companies, and one of the fastest-growing leadership development organizations in the world with offices in the U.S., Australia, and India. He is a psychotherapist and a New York Times bestselling author of “The Flip Side.” The Flippen Group’s research-based tools and processes combined with expert coaching and training have been transformational for many of the most respected school districts, Fortune 500 companies, governments, sports teams, and non-profit corporations in the world. Along with Flip Flippen, Ben Baldwin, founder of ClearFit and Morton Mandel, co-founder of Premier Industrial Corporation, have joined Drucker Institute’s Board of Advisors. “We’re fortunate to have a wonderfully engaged and effective Board of Advisors. And it is our privilege to welcome Ben, Flip and Mort to our work together,” said Curt Pullen, Chairman. Rick Wartzman, Drucker Institute’s executive director, shared, “During the past year, we lost two incredible Board members with the passing of Doris Drucker and Don Keough. It’s wonderful that we’re now able to bring on a new slate of advisors who are equally talented and committed to building on Peter Drucker’s legacy by helping us fulfill our mission—strengthening organizations to strengthen society. Having Mort, Flip and Ben share their insights with us will, no doubt, prove invaluable.